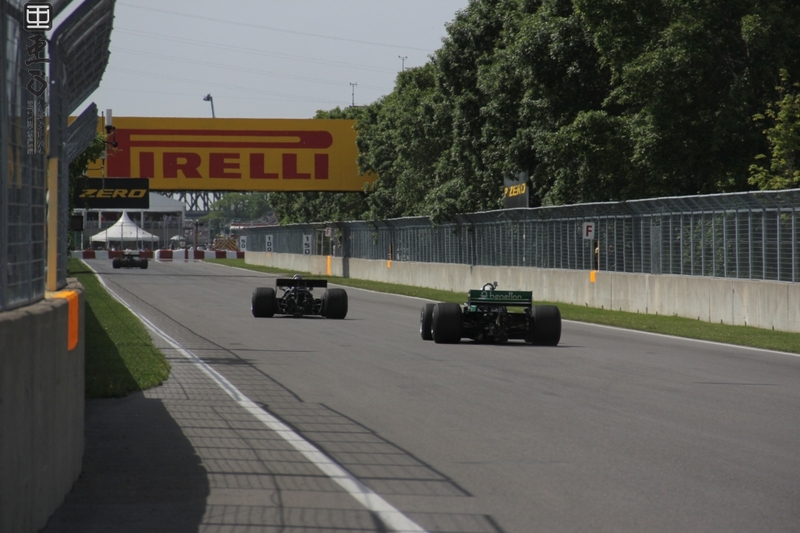 A few weeks have passed since the 2014 Canadian Grand Prix in Montreal, QC and I have been still reflecting on this years' experience. 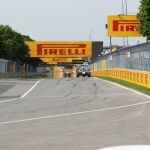 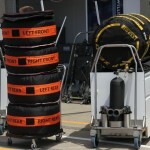 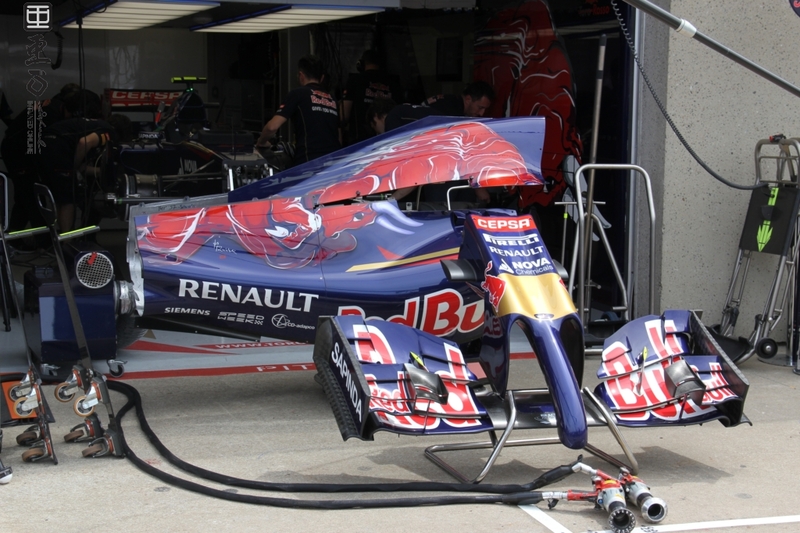 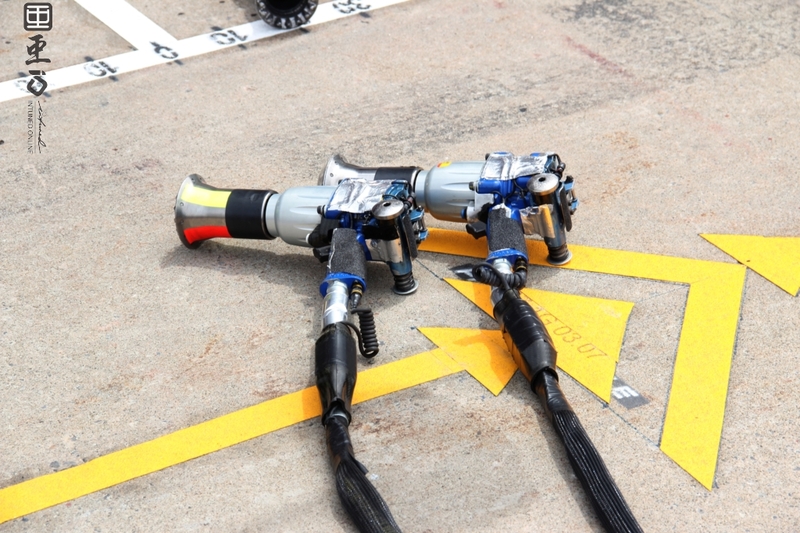 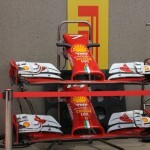 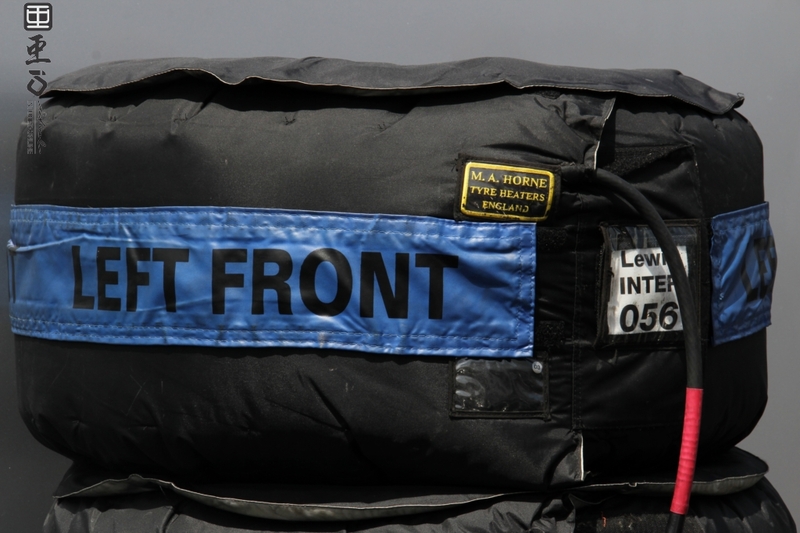 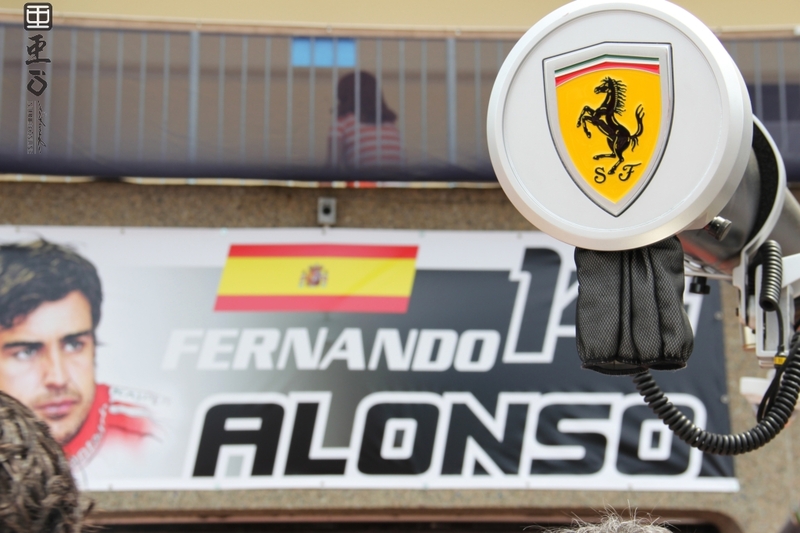 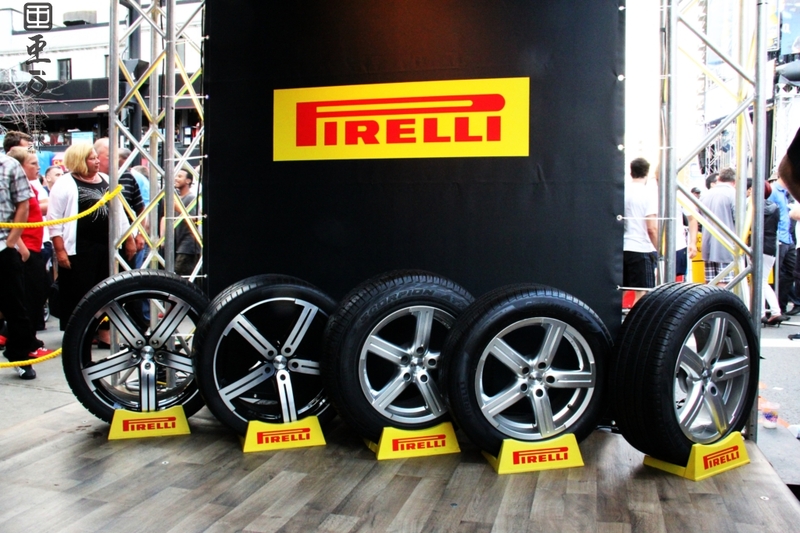 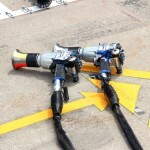 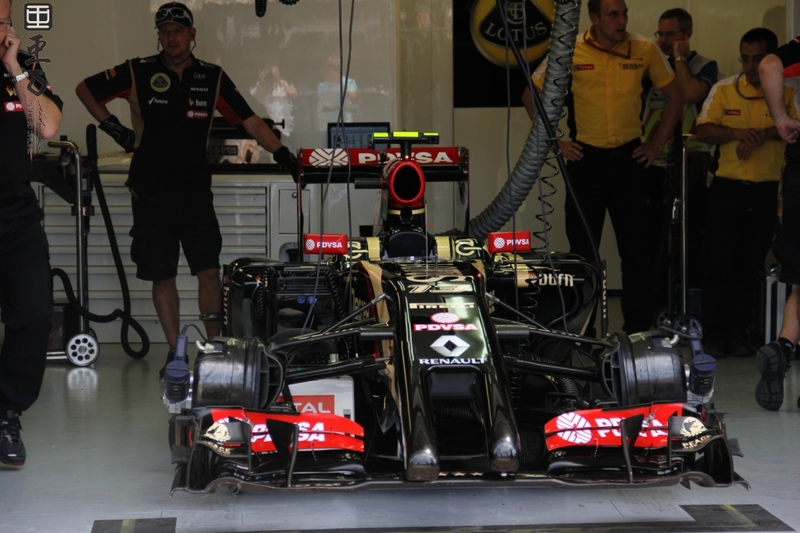 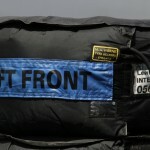 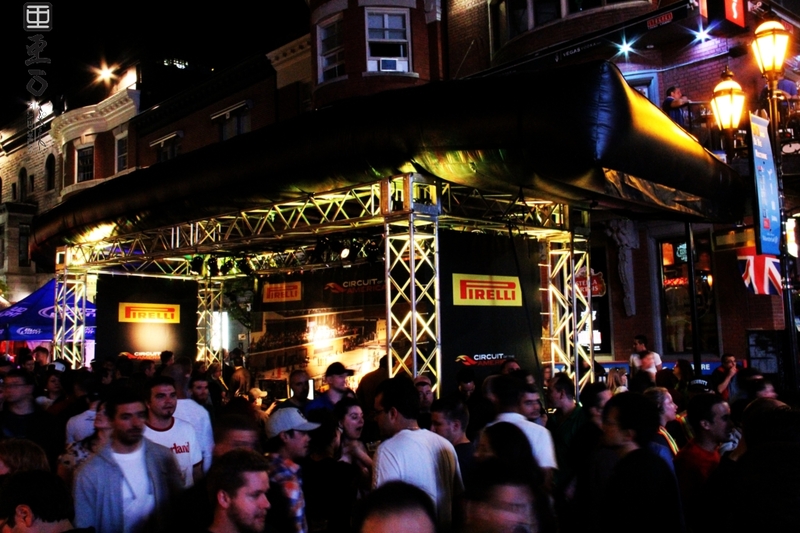 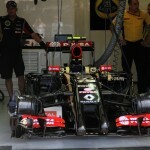 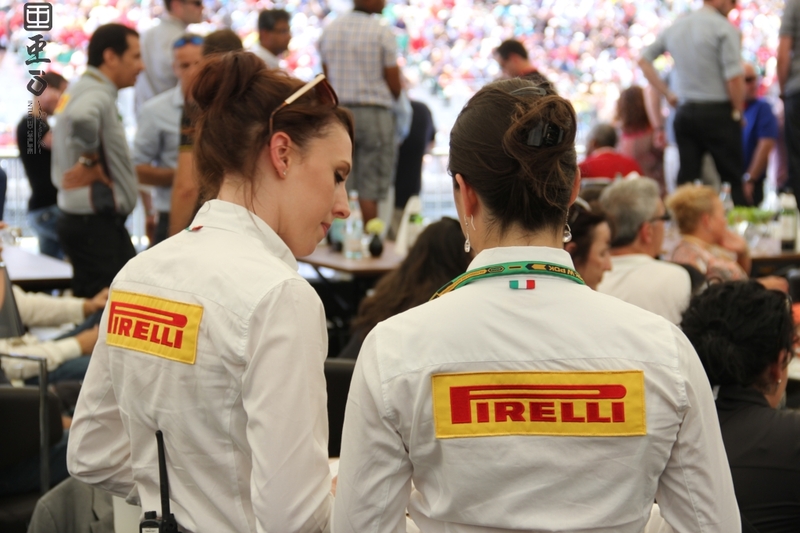 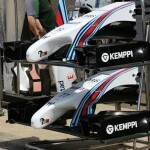 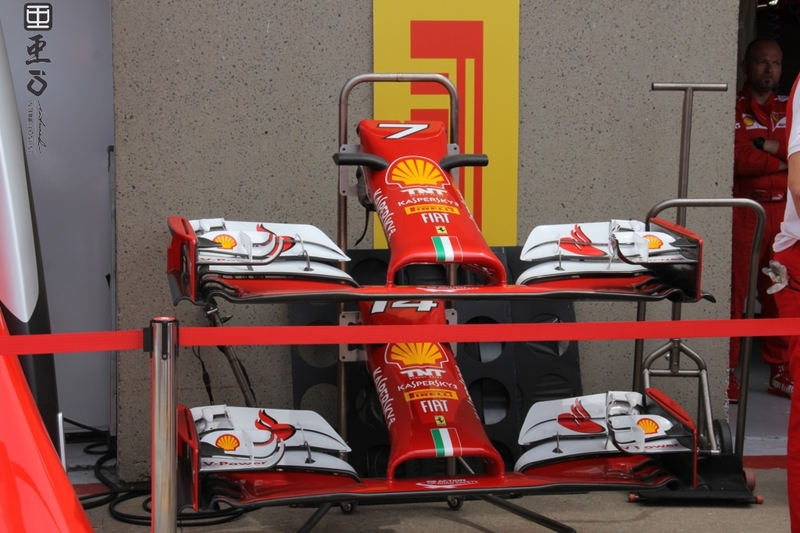 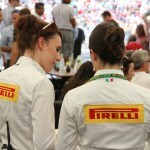 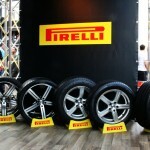 Last year as most of you may remember Pirelli invited us to Formula 1 and provided us with an experience of a lifetime. 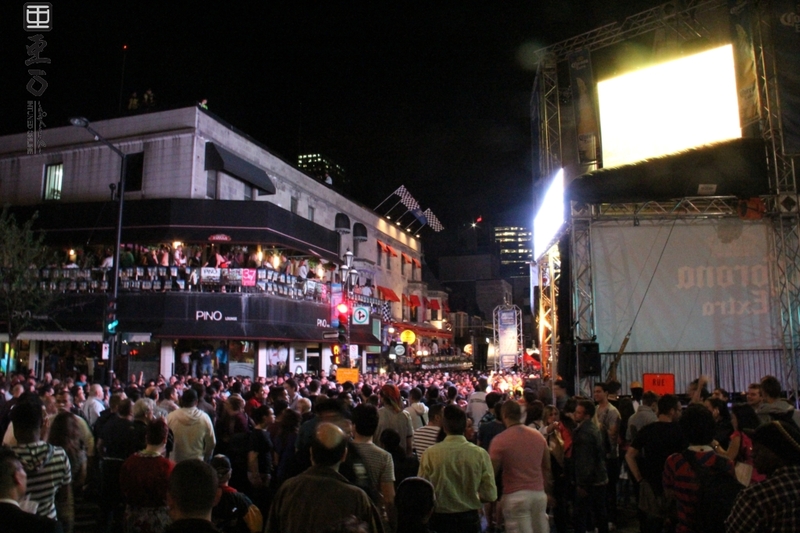 At that point in time I thought nothing would surpass those 3 days but I was wrong, let me tell you about 2014. 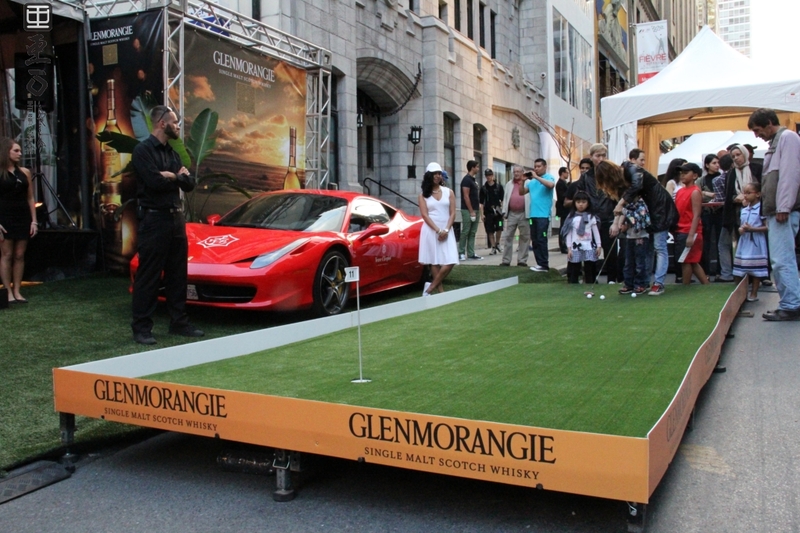 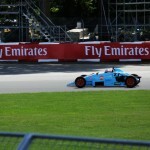 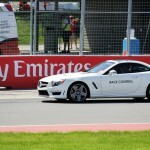 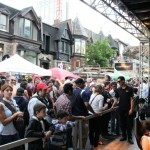 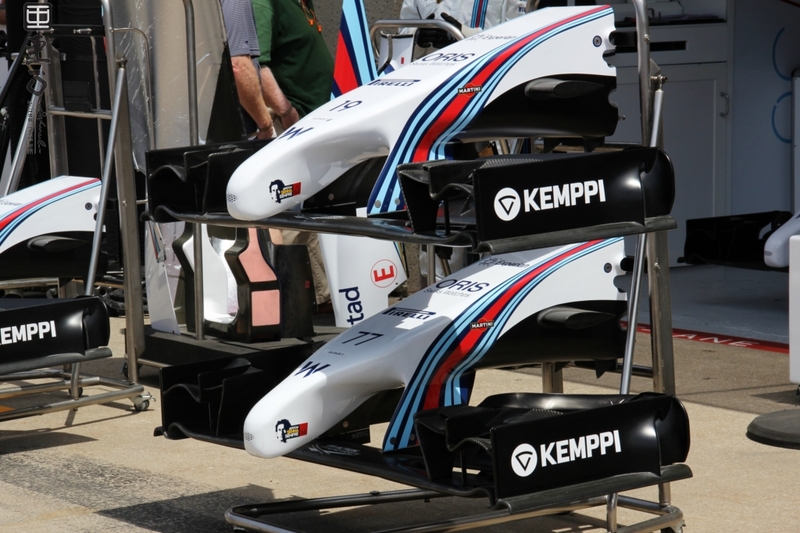 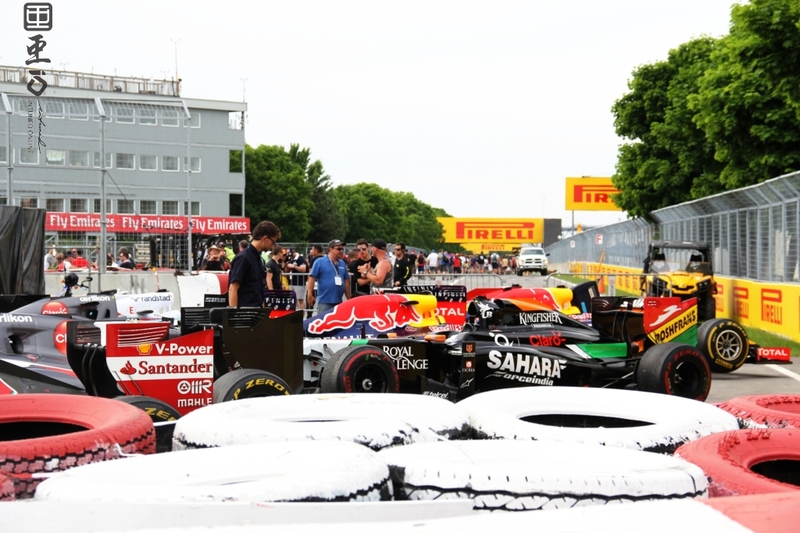 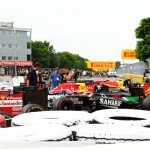 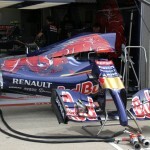 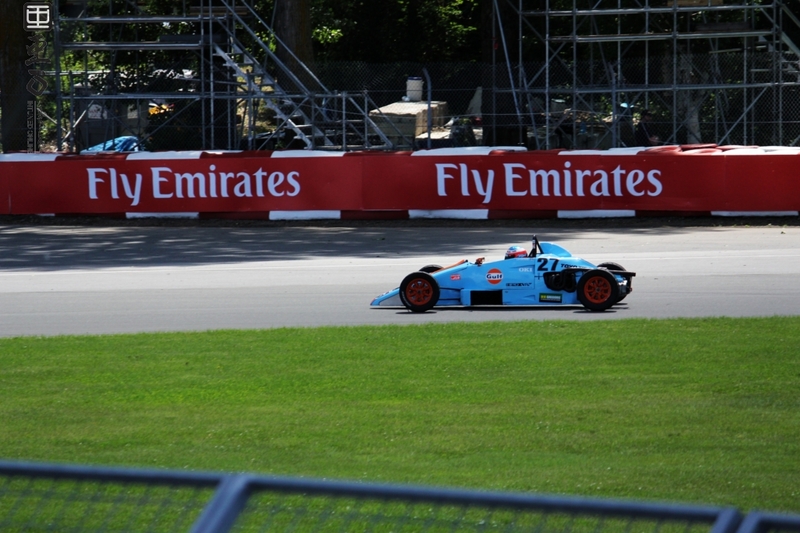 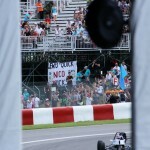 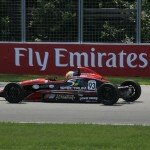 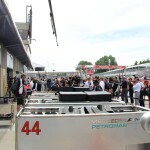 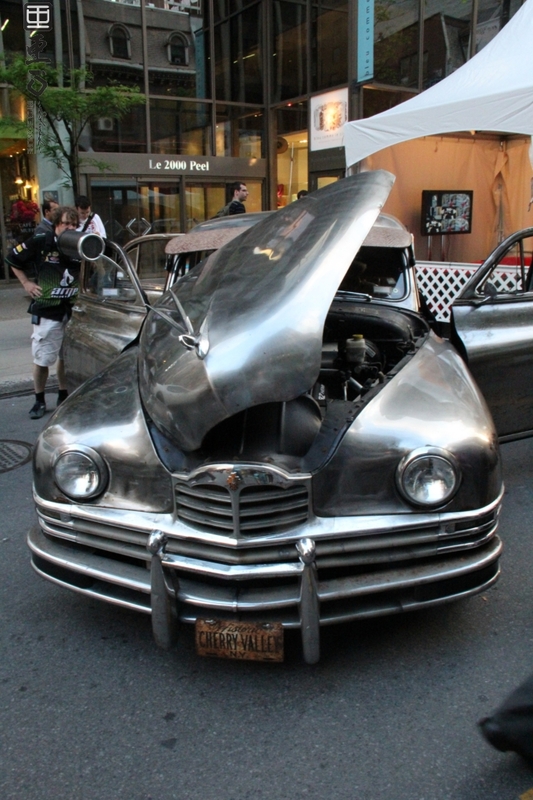 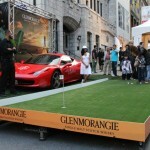 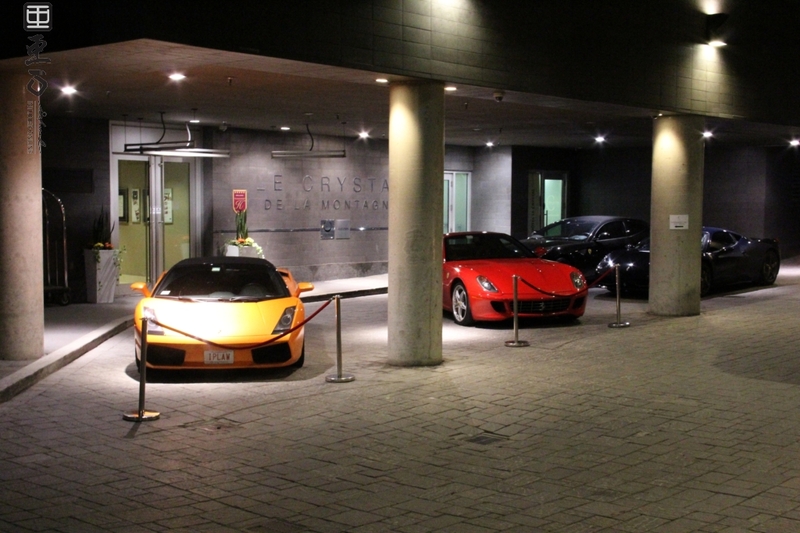 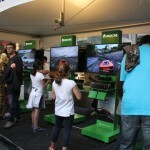 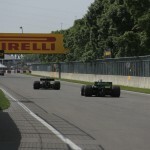 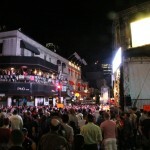 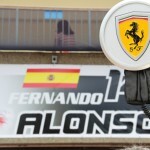 The 3 days during the Canadian Grand Prix are pretty crazy for all Formula 1 fans and Montrealers' in general as F1 fever takes over the entire city with concerts, festivals and of course cars. 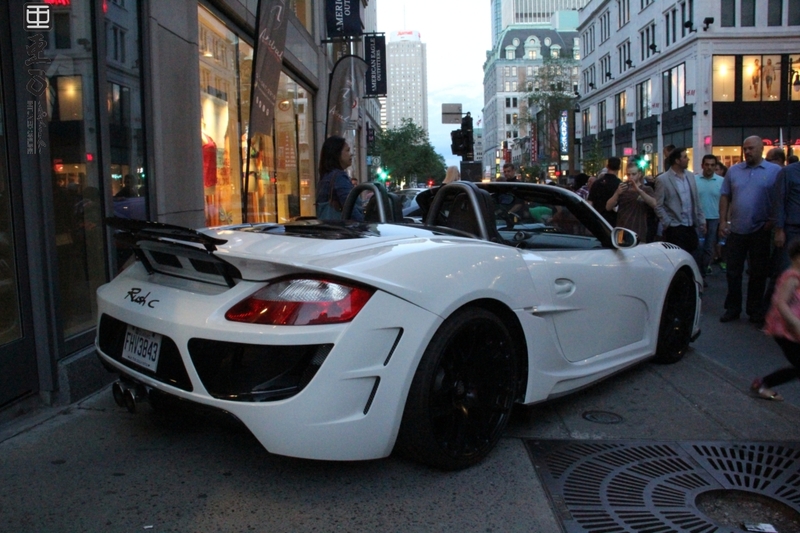 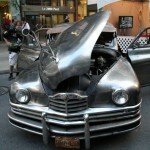 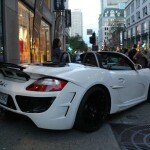 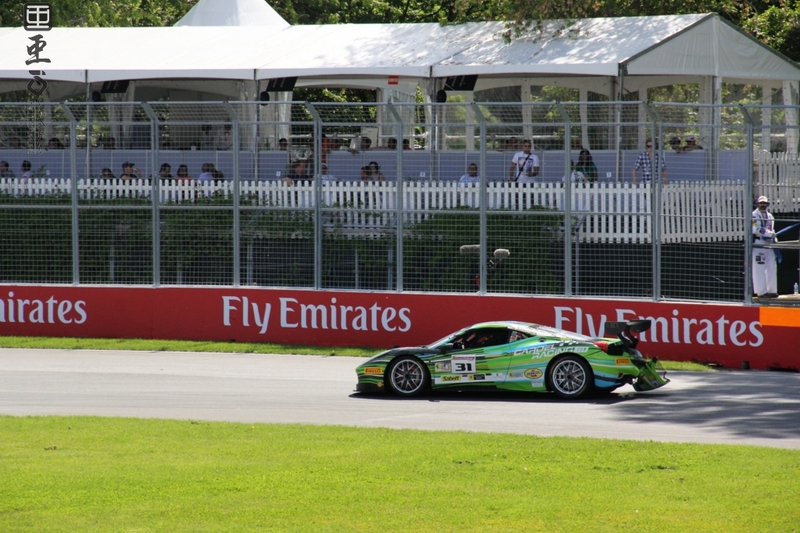 As an F1 fan and automotive enthusiast it is by far the best time to visit Montreal (this is where you add it to your bucket list). 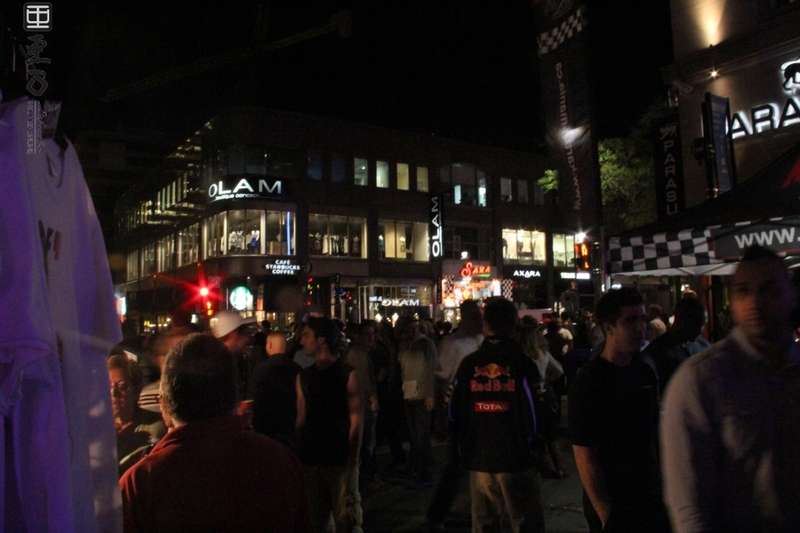 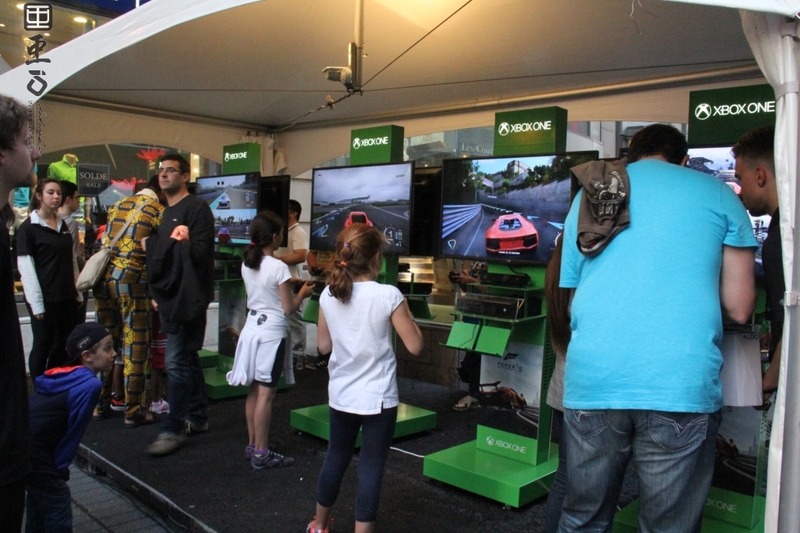 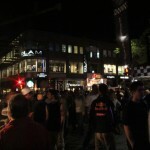 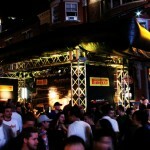 I started this year's experience downtown once again in the heart of the F1 festivities. 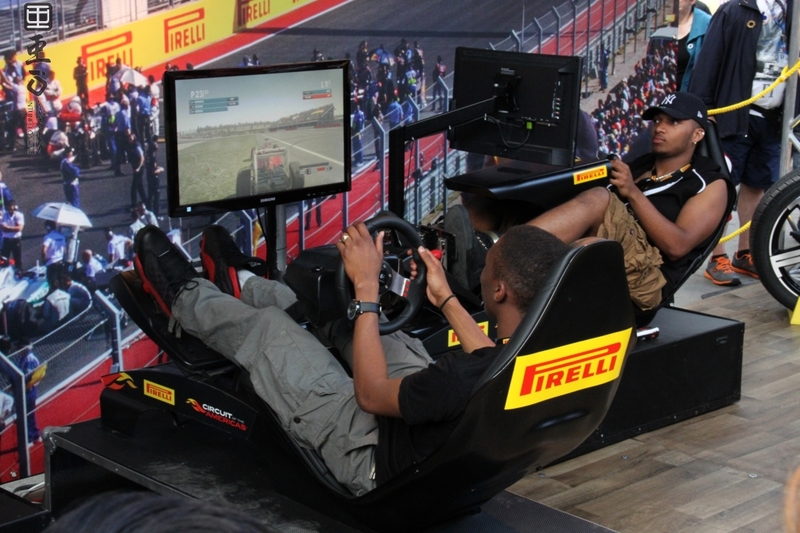 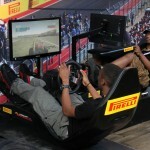 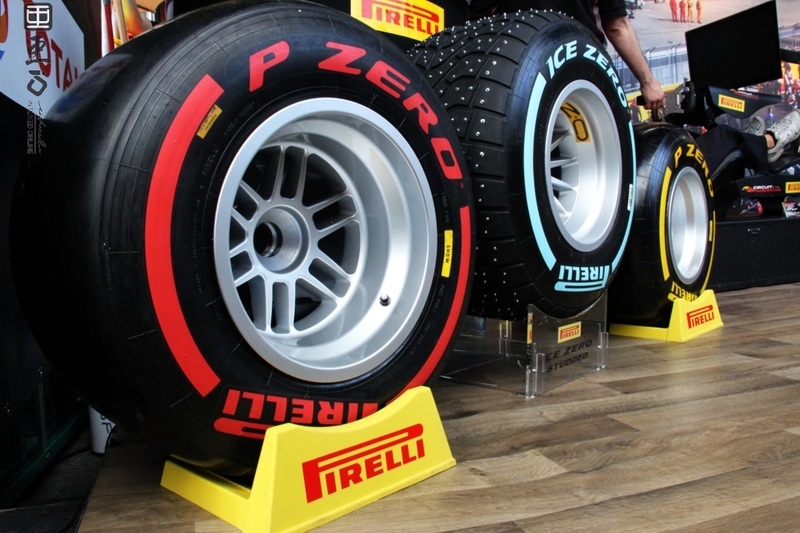 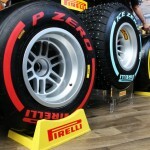 Pirelli gave fans a taste of the F1 experience in their booth in the center of it all with F1 racing simulators to test out their skills on a virtual track, all while showcasing a range of Pirelli tires; including the ultra cool Ice Zero studded race tire which is for display purposes but looks awesome. 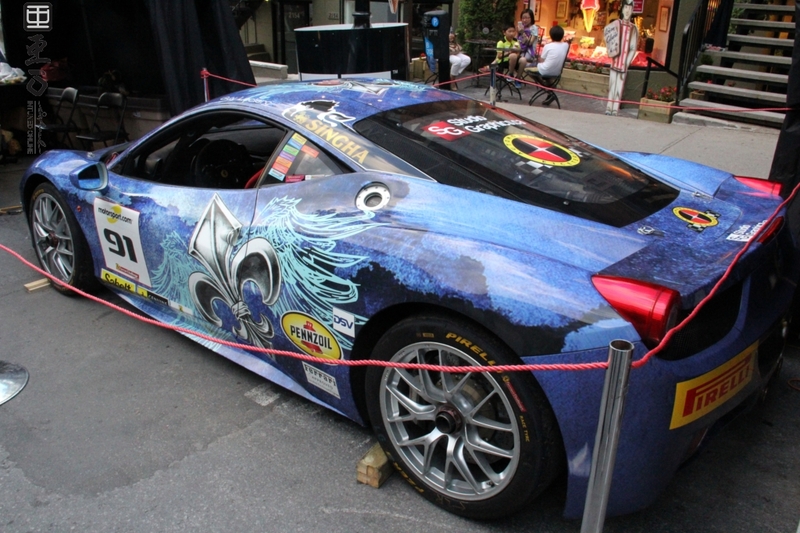 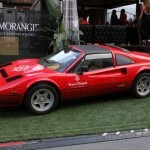 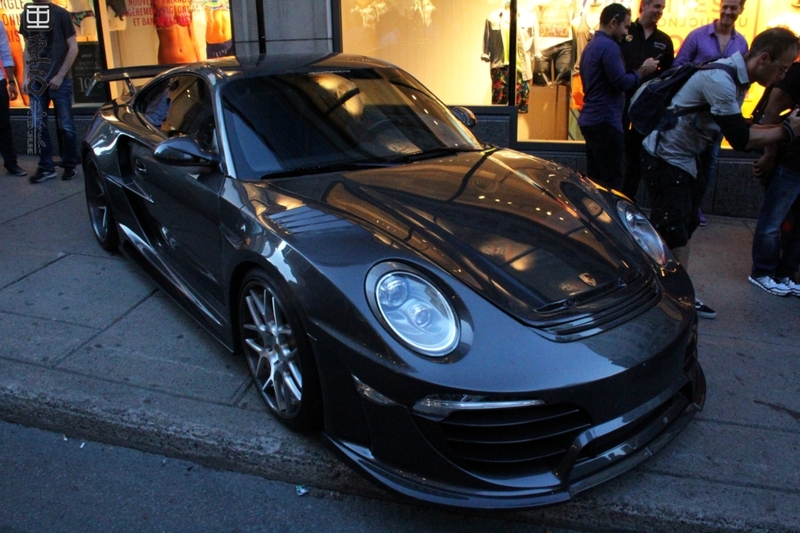 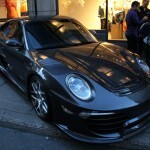 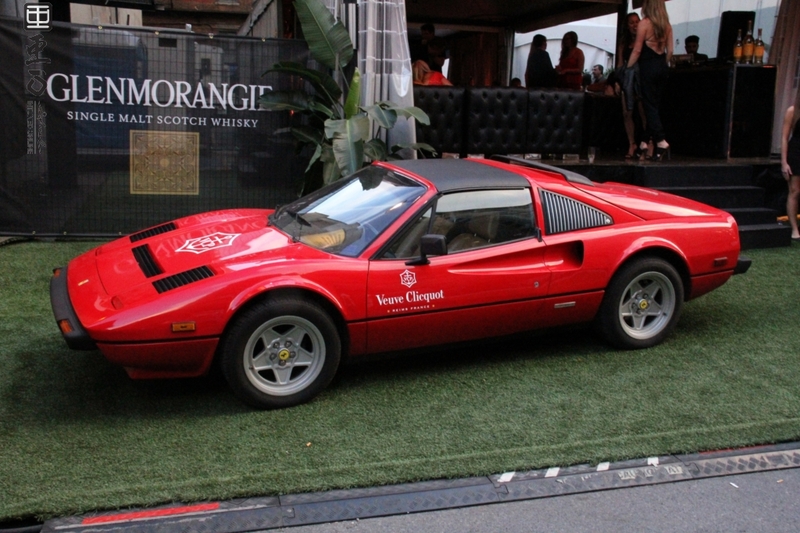 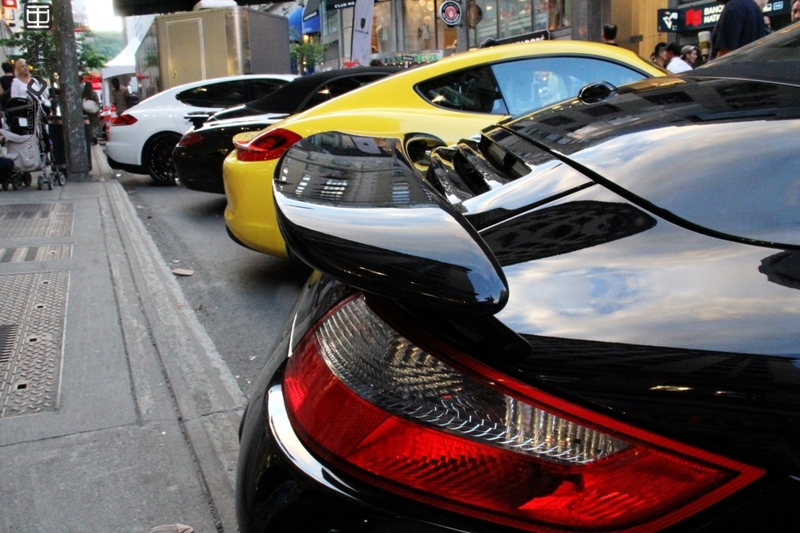 Walking around the downtown area, taking in all the sites, many of the streets were closed off for the Formula 1 celebration displaying a wide variety of special interest cars and loads of Ferrari, Lamborghini and Porsche's everywhere. 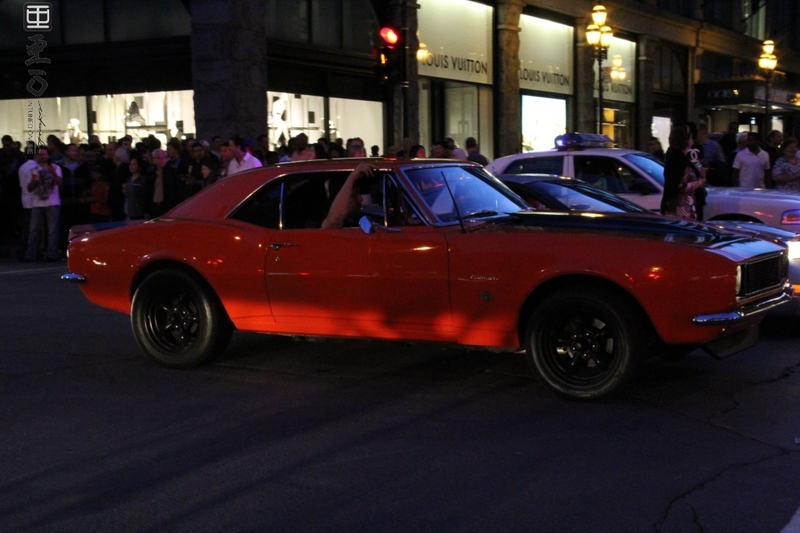 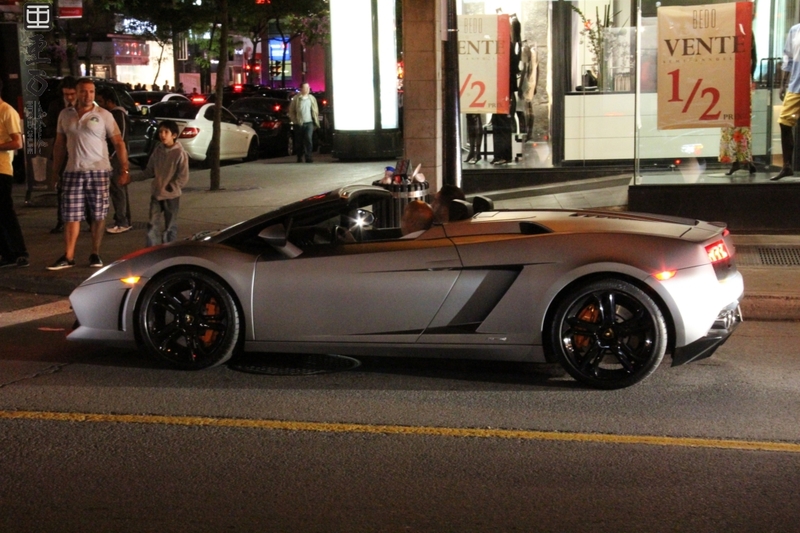 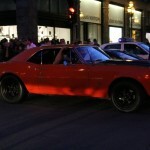 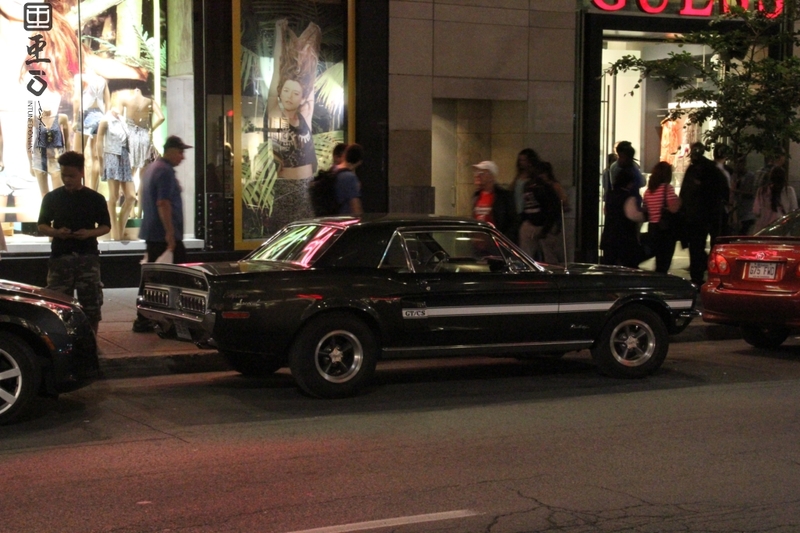 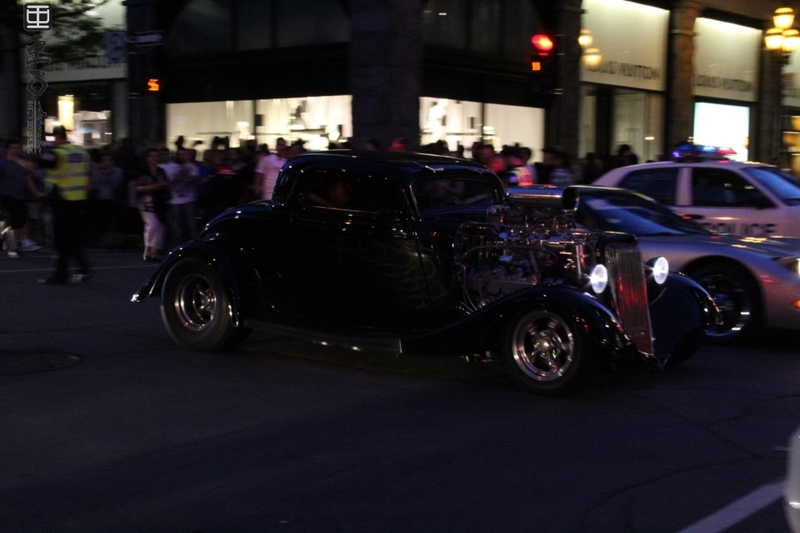 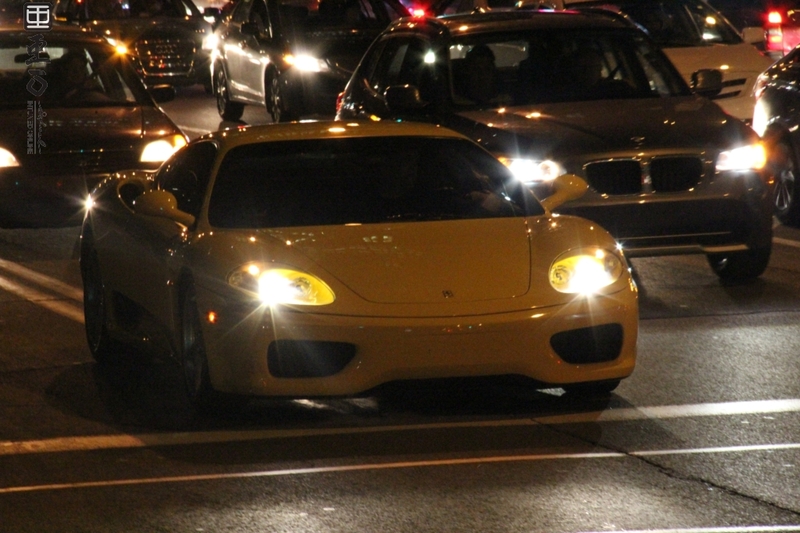 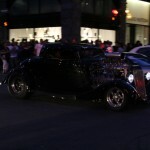 I snapped a few more pics of random cars ranging from Lamborghini's to muscle cars on the streets before calling it a night for day 2. 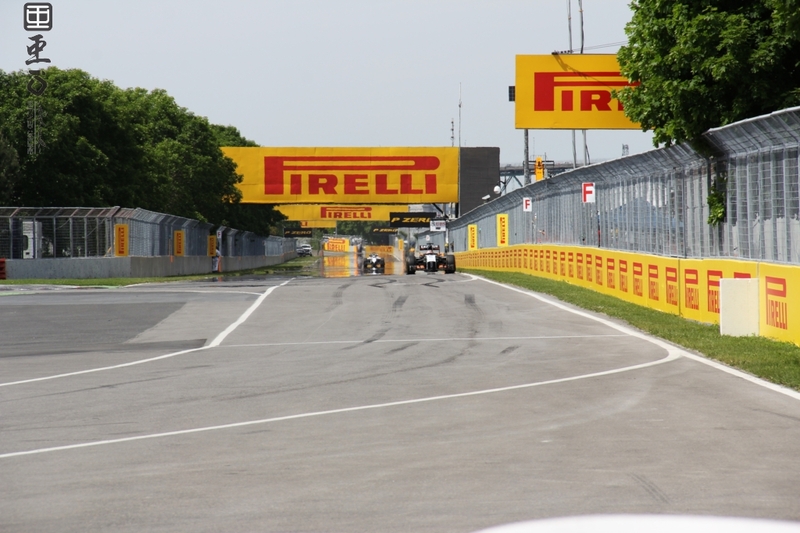 Saturday is qualifying day along with other various races throughout the day, after arriving at Circuit Gilles Villeneuve we took a short shuttle boat ride over to the lodges where we'd be spending the day. 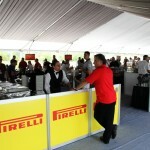 Once inside we indulged in a 5-star lunch while takin g pictures of the ambience, displays and of course the track. 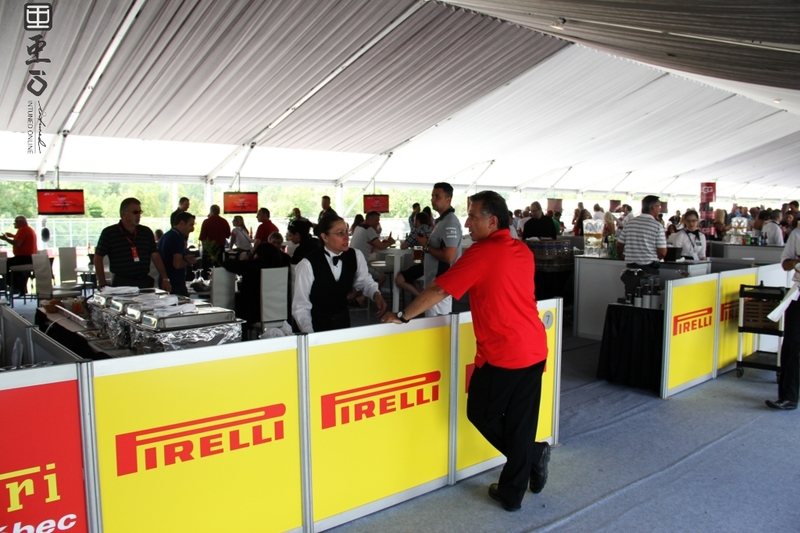 In addition to the great food the seating allows for a great view of the track at the tail-end of the straightaway just before the "Senna Turn". 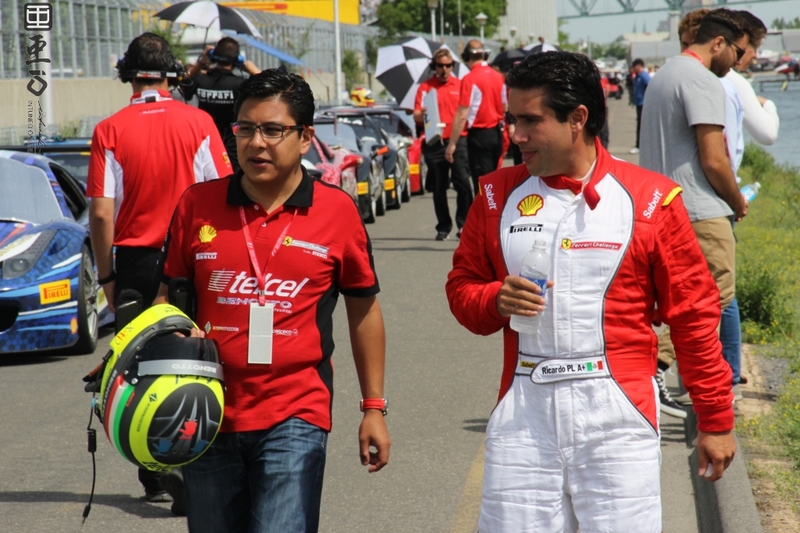 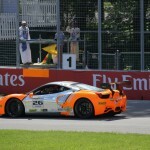 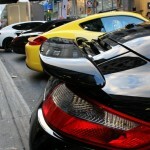 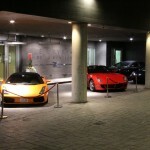 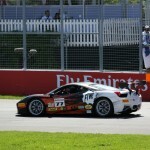 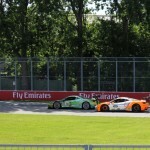 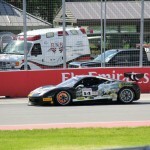 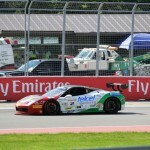 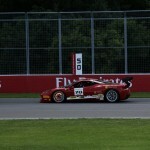 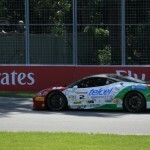 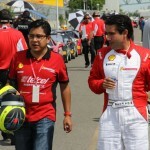 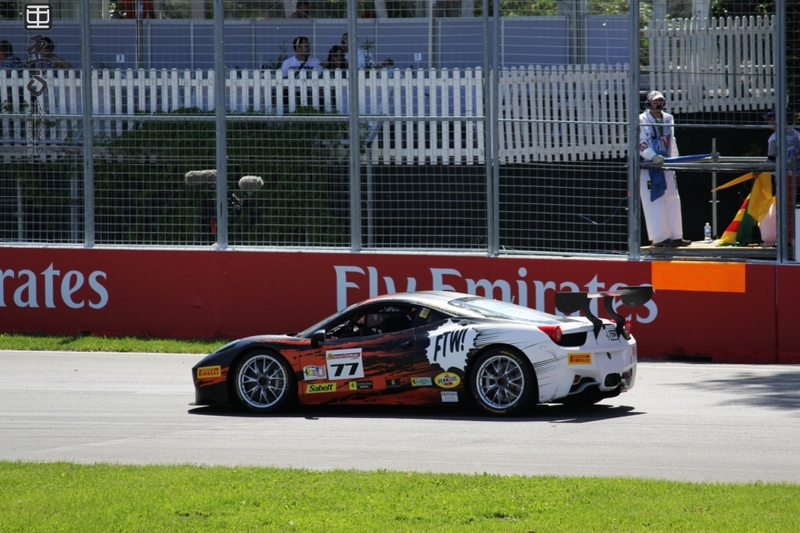 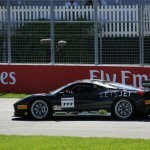 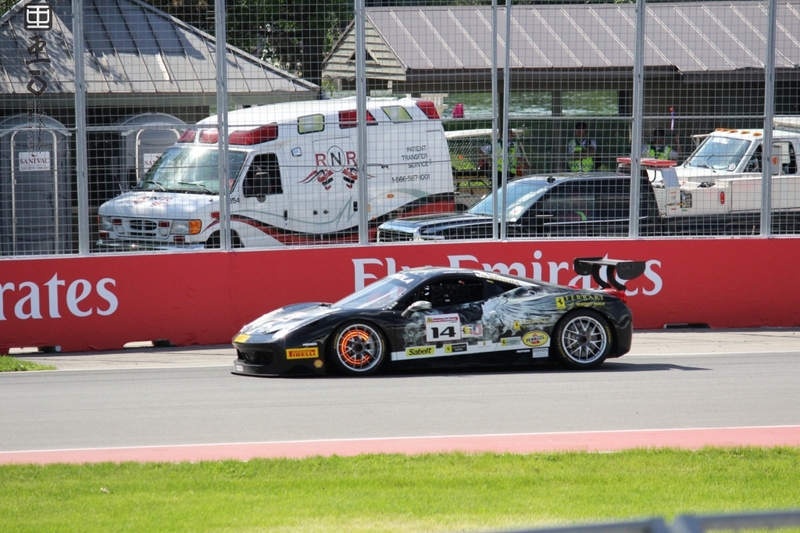 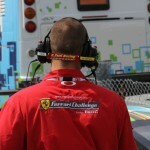 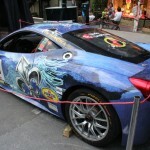 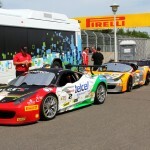 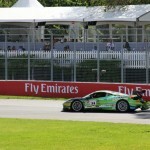 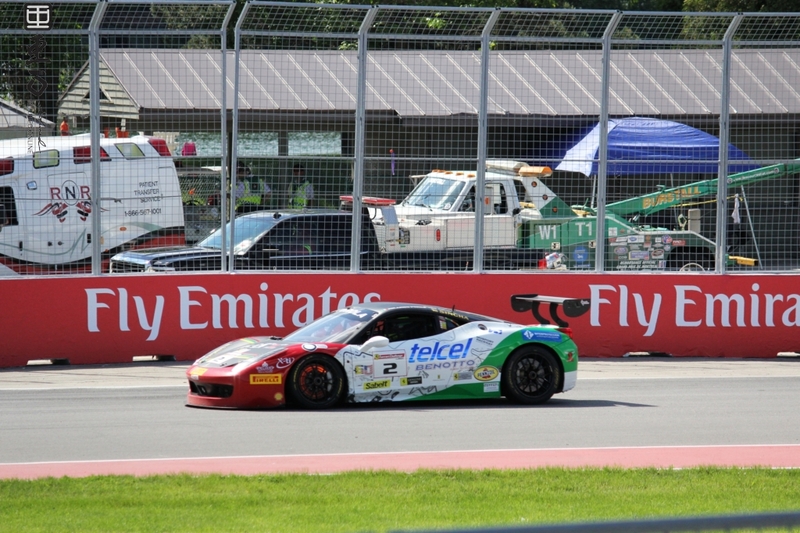 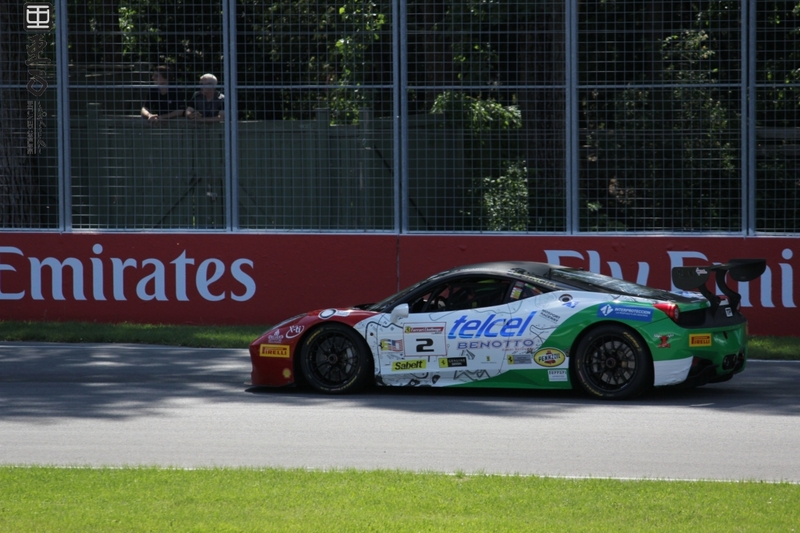 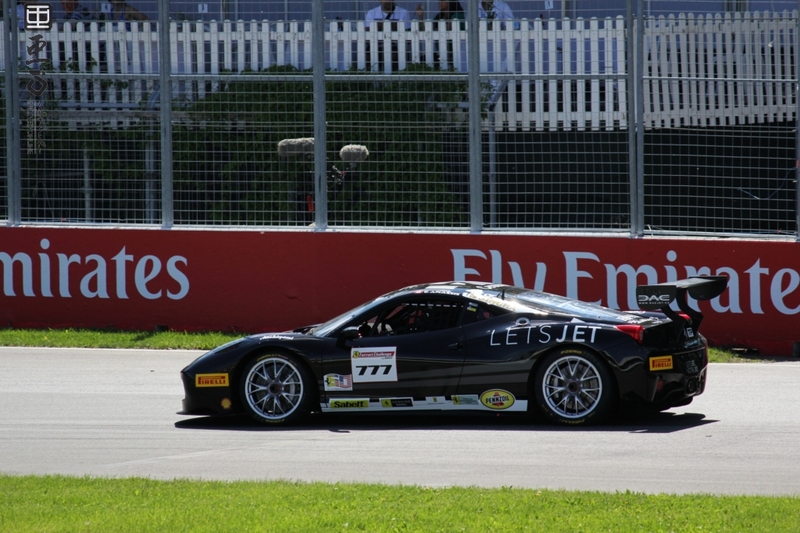 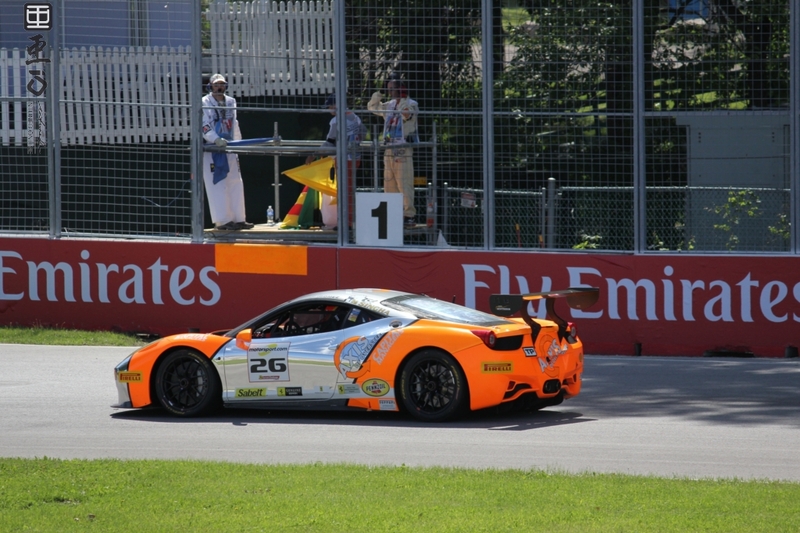 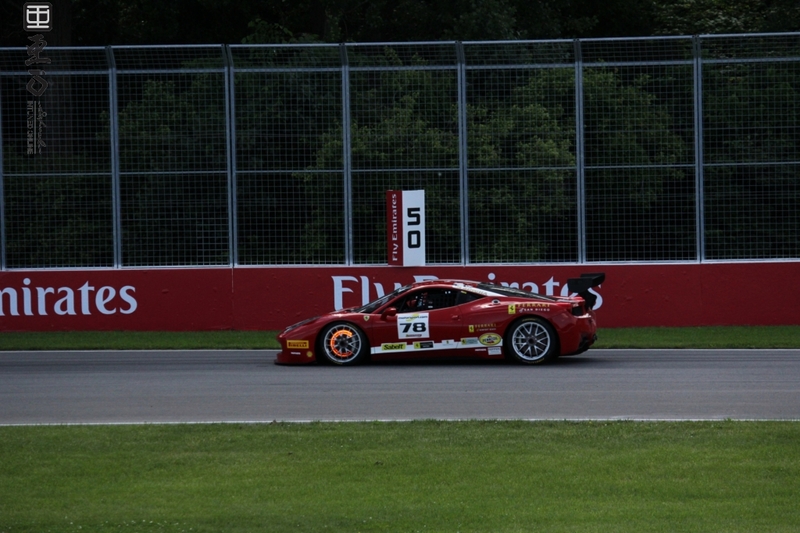 During the day we captured shots of the various races including the ever popular Ferrari Challenge. 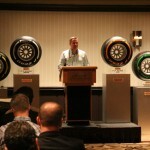 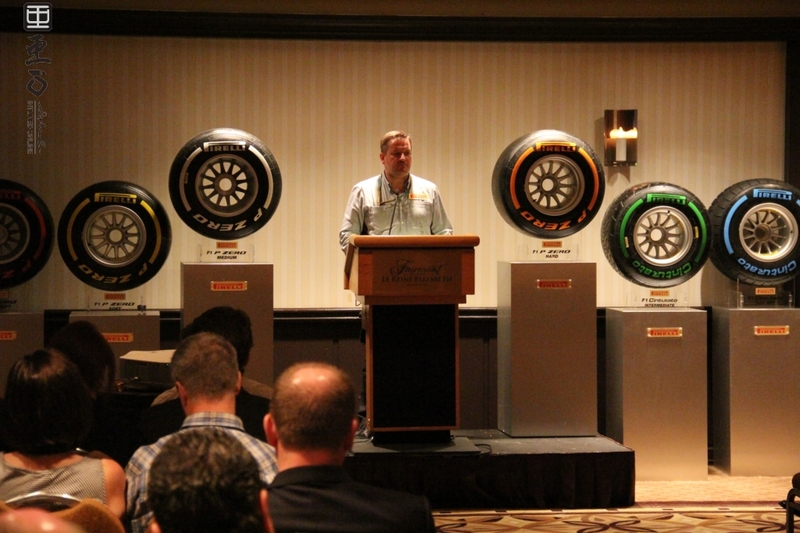 After a fun day at the track we headed back to the hotel where we attended a private Pirelli meeting with special guest speaker Paul Hembery the Director of Pirelli Motorsports; who provided some background around Pirelli Formula 1 tire manufacturing, distribution and mounting processes for races globally. 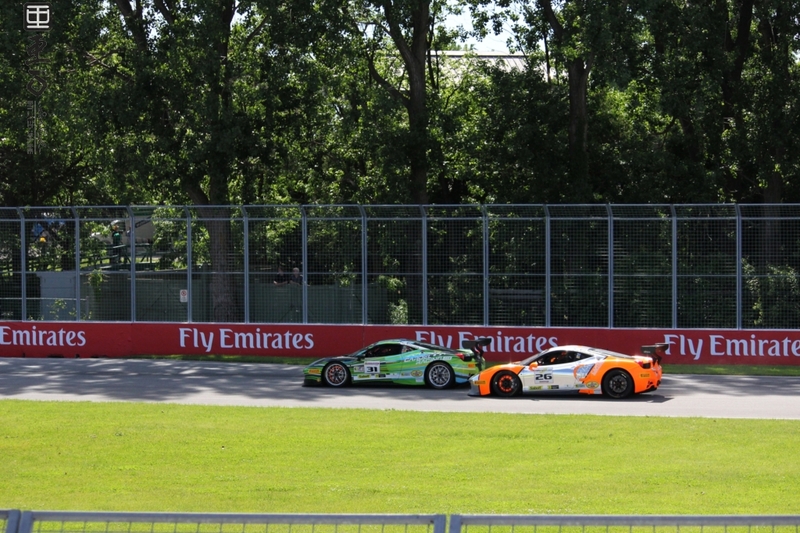 Race day Sunday we arrived at the track early again; which is easily one of the best feelings in the world as the smell and sounds of the race track are intoxicating. 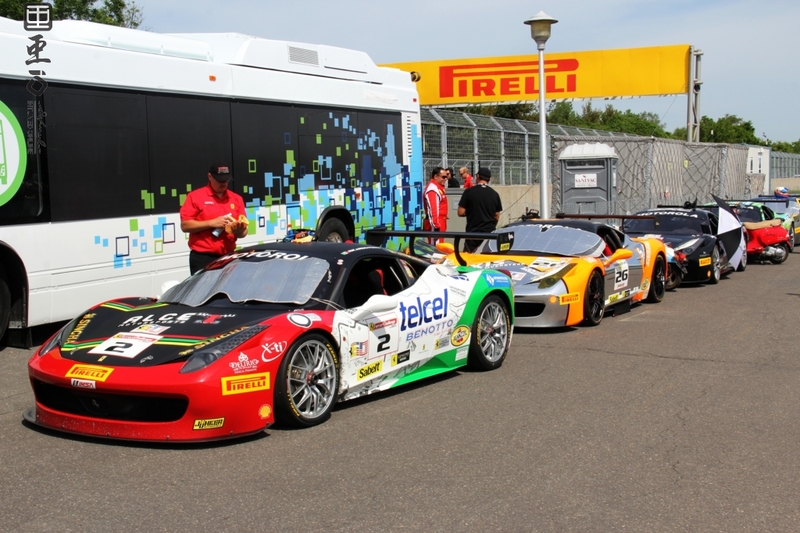 After watching some of the early morning open wheel racing we met up with some familiar faces at Pirelli for close-up look at the Ferrari Challenge as they setup before their race. 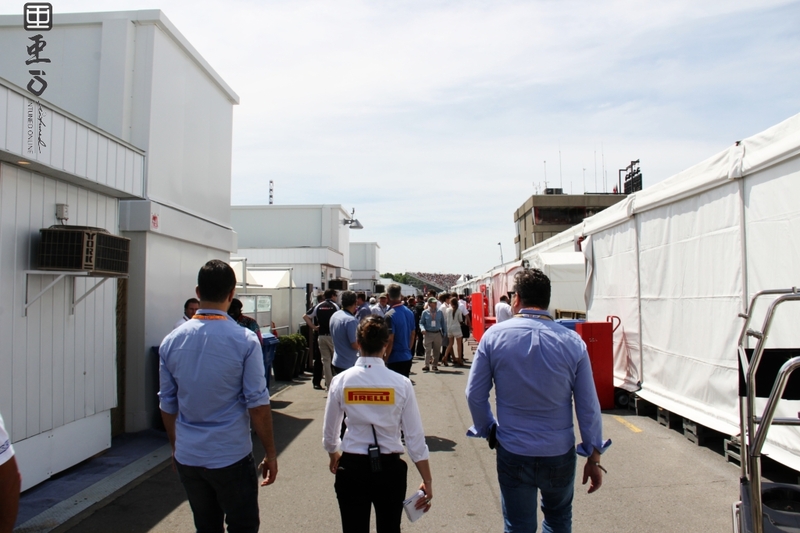 Once the race started we made our way to the paddock. 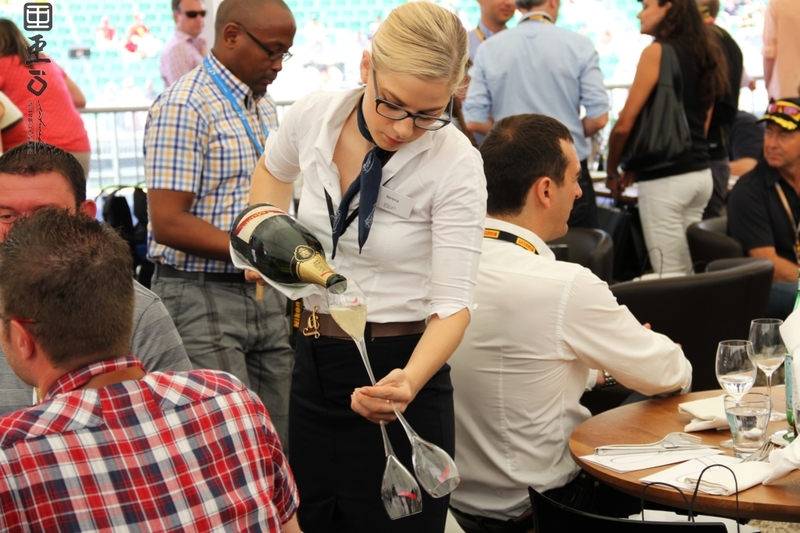 For those not familiar with the paddock, this is the ultimate race experience for any Formula 1 fan and if you have the opportunity to do this once in your lifetime you should add it to your bucket list. 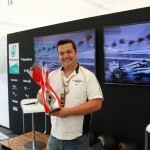 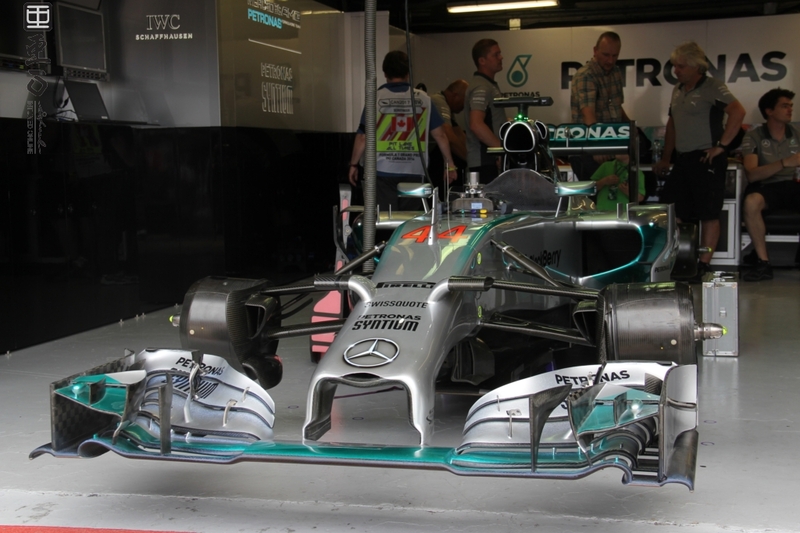 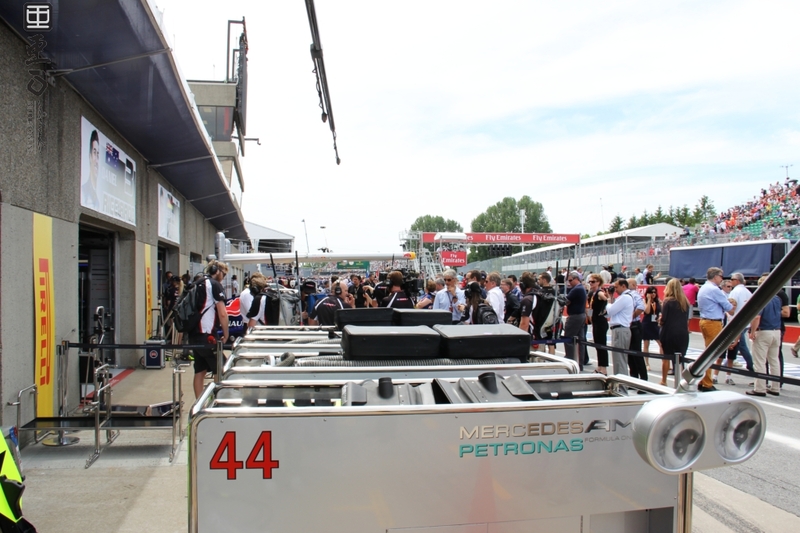 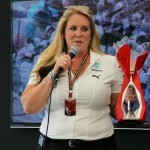 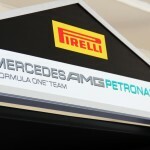 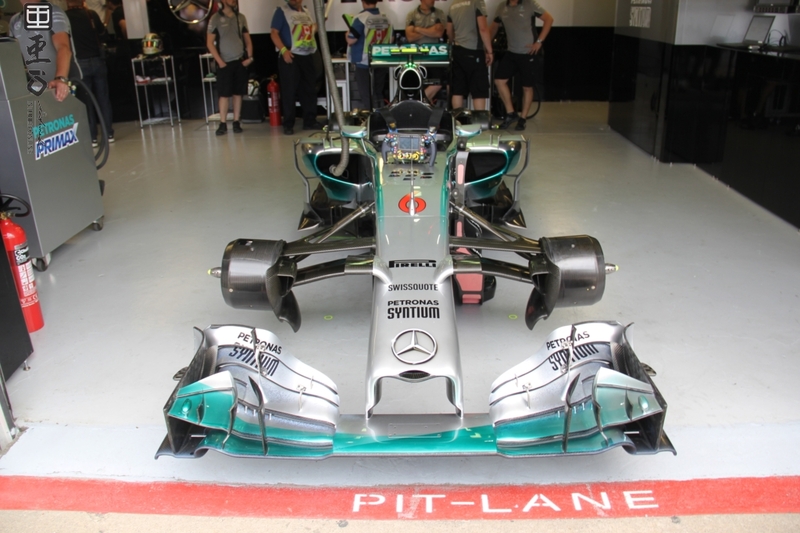 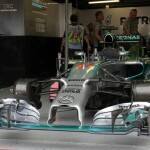 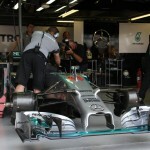 Once we arrived to our surprise that this year's paddock lounge would be shared with Mercedes AMG PETRONAS. 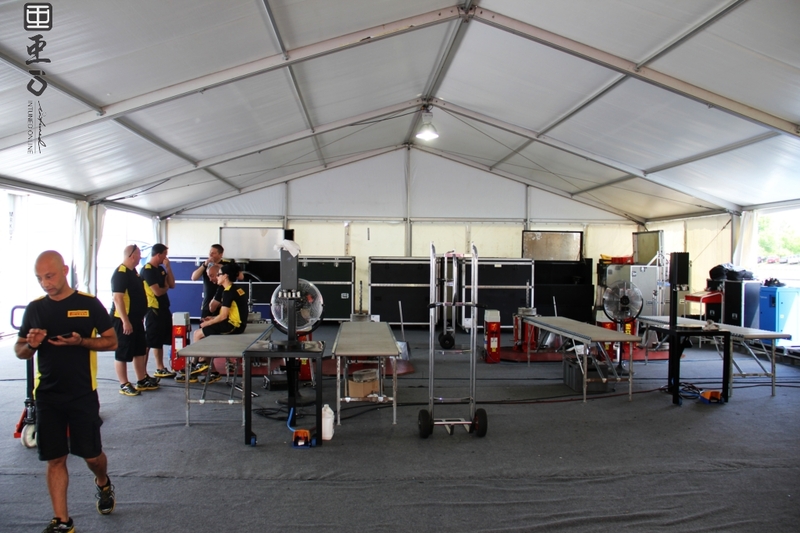 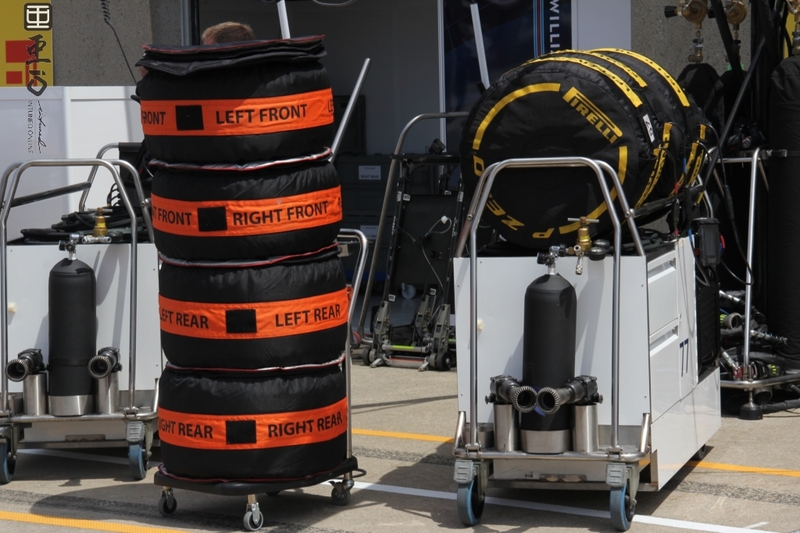 Once inside we were offered a tour of the paddocks where Pirelli technicians and engineers mount and dismount all the race tires in their paddock facility, once the race is complete all the tires are then dismounted and shipped for analysis before being destroyed and recycled into new tires. 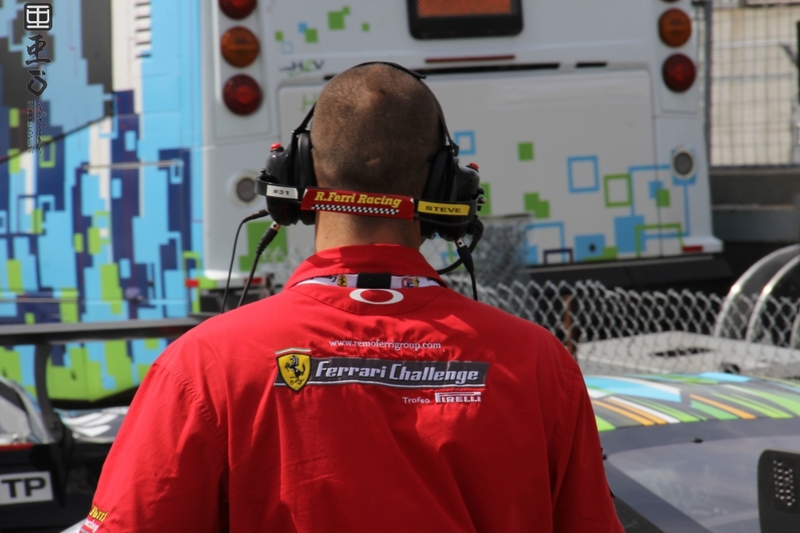 A time consuming process that is completed like clockwork due to all the skilled individuals involved. 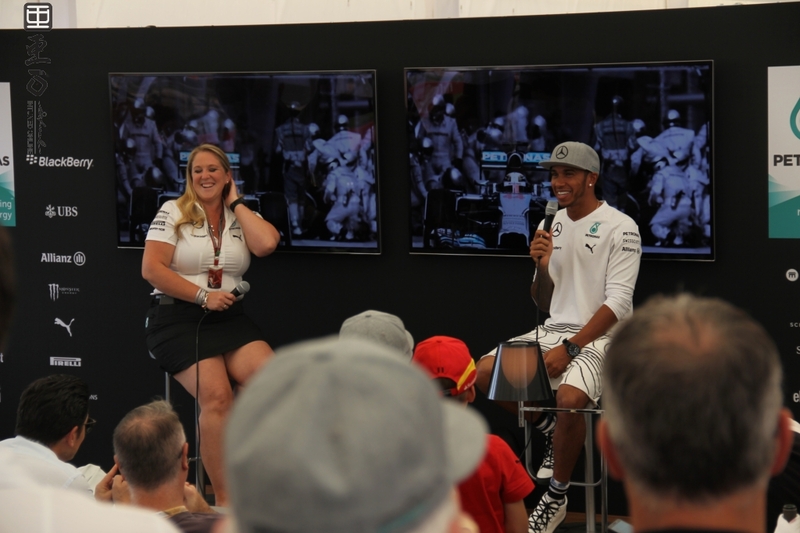 After a brief walkthrough of the paddock we returned to the lounge where Mercedes PETRONAS announced that we would have a special guest; Formula 1 Champion Lewis Hamilton who shared his thoughts on the team, his season and the race which was a couple of hours away. 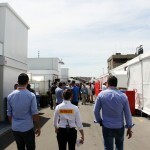 After another world class lunch everyone prepared by an on-site chef; we were off to the pre-race pit row walk where we could get a glimpse of the F1 teams up close before the race. 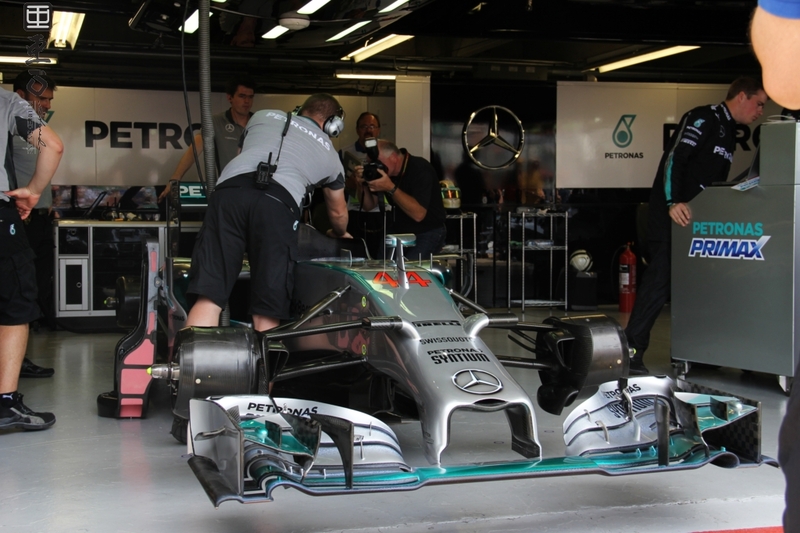 Thanks to Mercedes AMG PETRONAS' already stellar hospitality they also opened their garage doors to our passes so we could check out Lewis Hamilton & Nico Rosberg's cars up close. 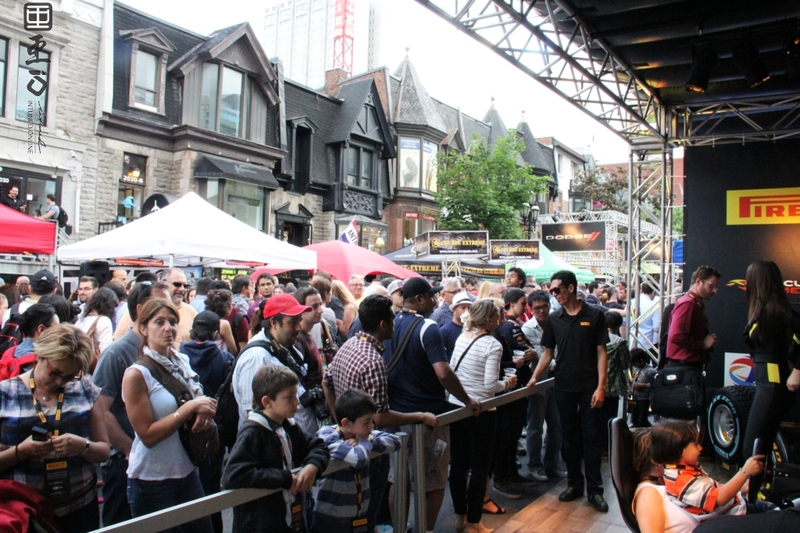 Once the race started everyone was on their feet for the main event, glued to all the action both live and on the monitors. 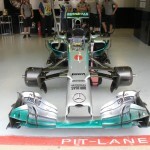 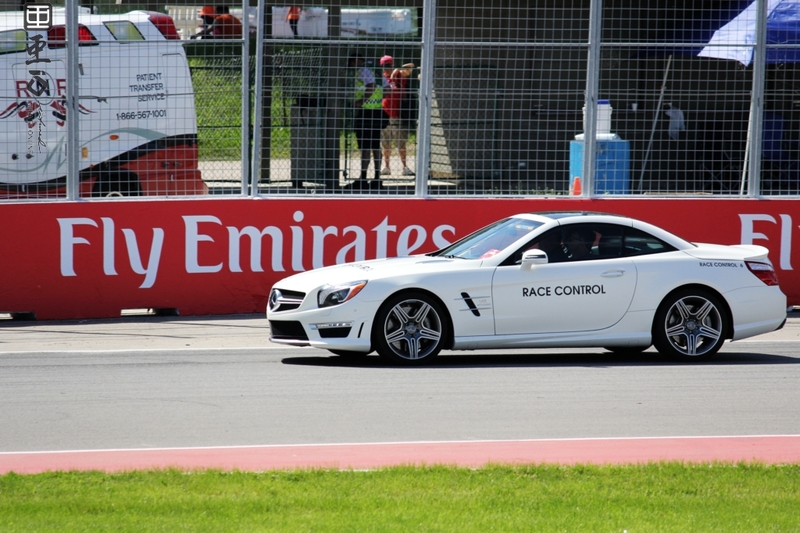 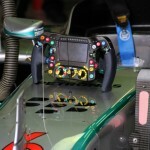 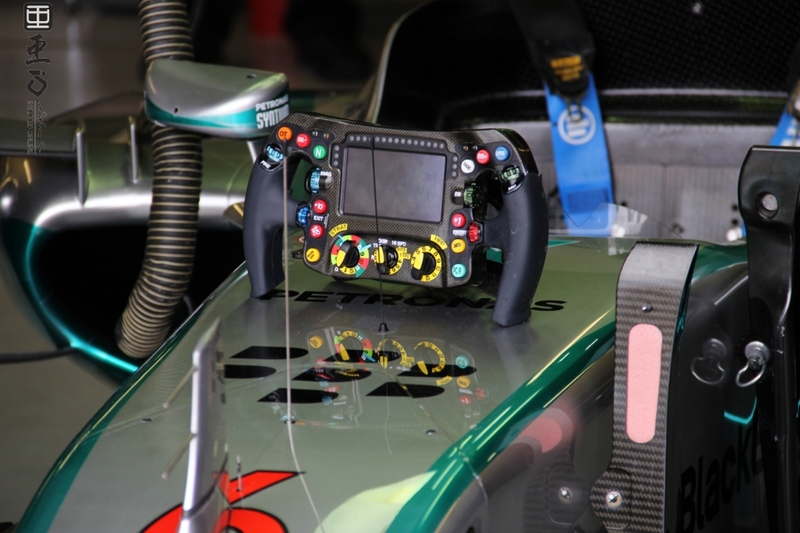 Despite some difficulties with the Mercedes AMG PETRONAS race cars, Nico Rosberg still managed to hold a 2nd place finish at the end of the race. 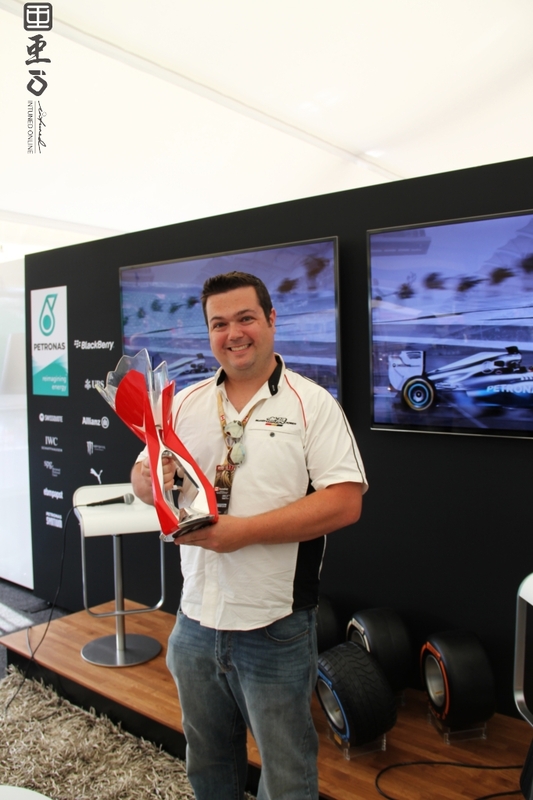 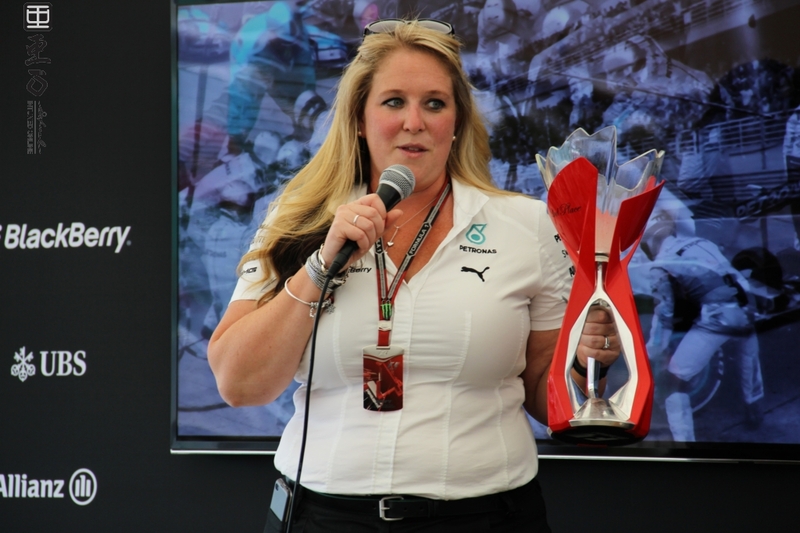 As the race packed up as they prepared for the next round another special announcement was that Nico Rosberg had sent up his 2nd place trophy up to the lounge for all to see and take photographs with, including myself who couldn't pass on that opportunity. 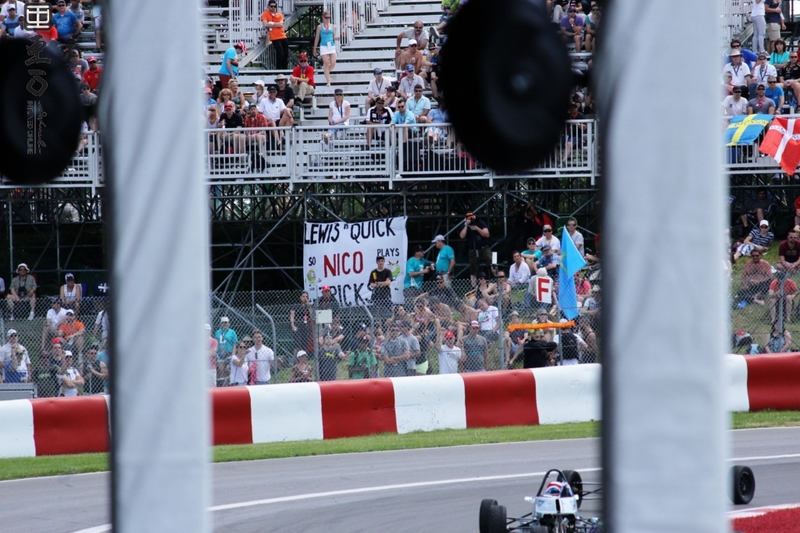 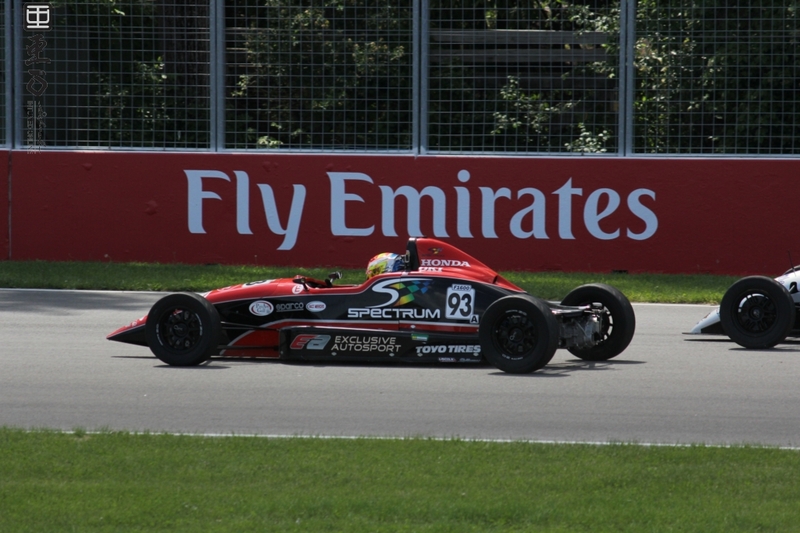 After the Canadian Grand Prix ended in 2013 I called it an experience of a lifetime and thought there was no way it would be surpassed, but 2014 proved me wrong with more experiences that I couldn't have imagined. 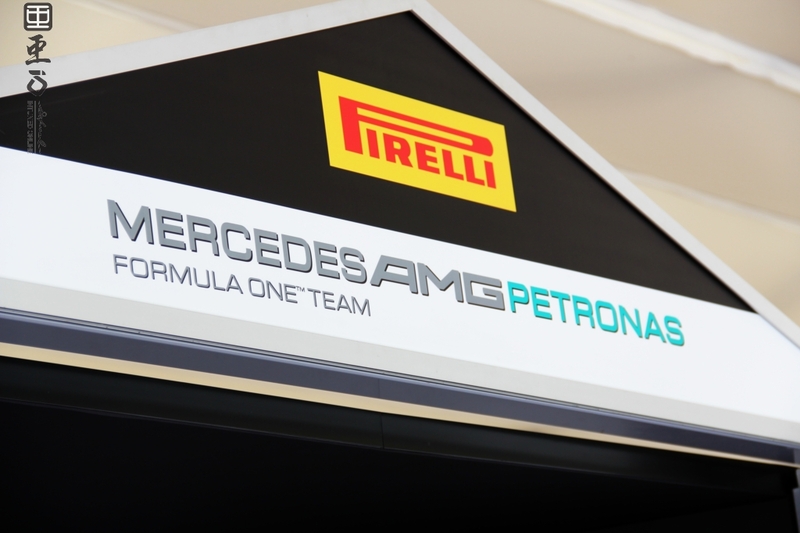 I want to thank everyone at Pirelli for making my dreams come true once again, and a very special thank you to Mercedes AMG PETRONAS for all their hospitality.